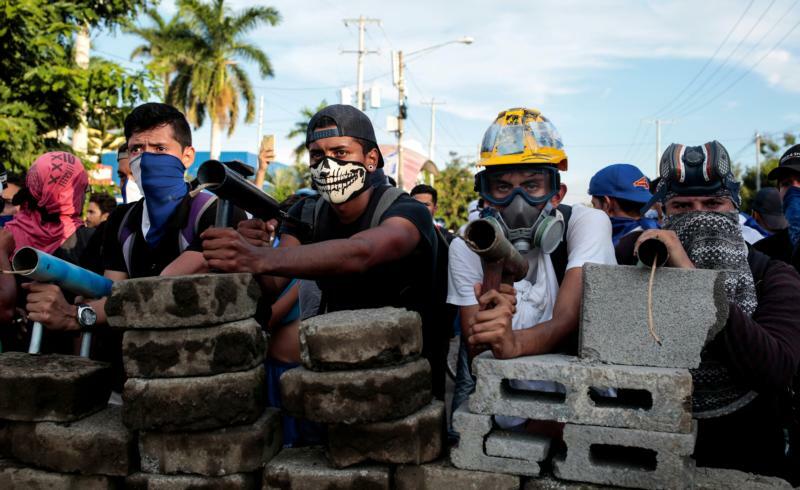 MEXICO CITY (CNS) — Nicaragua’s bishops have demanded an end to police and paramilitary attacks on unarmed protesters, who have continued to call for the Central American country’s authoritarian president to step aside. The bishops issued an urgent statement May 31, the morning after an especially brutal crackdown on protesters, which claimed at least 13 lives, according to media reports. “The bishops of Nicaragua have experienced with deep pain, the violent events perpetrated last night by armed groups related to the government against the civil population. We energetically condemn all these violent acts,” the Nicaraguan bishops’ conference said in the statement. “(We) condemn all of these acts of repression on the part of groups close to the government and we want to leave it clear the national dialogue talks cannot continue while the Nicaraguan people continue being denied their right to protest,” the prelates said. At least 5,000 protesters — including women and children — sought refuge on the campus of the Jesuit-run University of Central America May 30, according to the rector, Jesuit Father Jose Alberto Idiaquez. Nicaragua descended into turmoil in mid-April after the government of Sandinista President Daniel Ortega attempted to overhaul the country’s social security system and increase fees. The overhaul came amid accusations of corruption and mismanagement in the system. Protests, especially among students, have flared frequently and the government has carried out a violent crackdown on dissent and threatened independent media. People in the streets have called for Ortega to step aside and for new elections to be held, but the president has refused and ramped up the repression against them. A recent report issued by Amnesty International described the government strategy for containing protests as “shoot to kill.” It counted at least 76 dead and 860 injured since protests erupted. The Central American University has come under attack during the government actions. On May 27, masked men arrived shortly after midnight and fired a mortar at campus security personnel. No injuries were reported, but the university said in a statement the attack was government-sponsored.